Some celebrity dads are taking on a new role this month: fatherhood. Earlier this month, actor Neil Patrick Harris and his partner, David Burtka, became first-time dads to twins – son Gideon Scott and daughter Harper Grace. Several published reports say that the babies were born with the help of a surrogate mother. "All of us are happy, healthy, tired, and a little pukey," Harris reported via Twitter about the arrival of his children. On October 19, New Orleans Saints' quarterback and Super Bowl MVP Drew Brees and his wife, Brittany, welcomed their second son, Bowen Christopher. "Healthy, happy baby. Big hands, big feet. Brit is great. I am so proud," Brees said about the birth, according to People magazine. 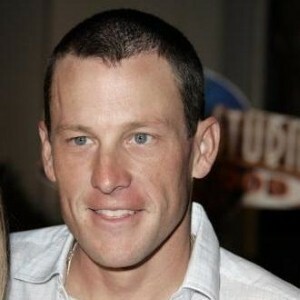 Fellow athlete Lance Armstrong and his girlfriend, Anna Hansen, welcomed daughter Olivia Marie this month as well. The baby is the second for the couple, and the 39-year old Tour de France champ's fifth child. "Thanks to you all for the support and well wishes. Momma and Olivia are doing great. She's a beauty!" Armstrong said. Actor Matt Damon and his wife, Luciana, have also expanded their family. The couple welcomed their fourth daughter, Stella Zavala, on October 20 in New York.